​Up until 1920 the commonly used little British ‘sixpence’ coin, was minted from Sterling silver. It was still in circulation up until 1980, but after decimalisation the sixpence was only worth 2 ½ pence! Silver sixpences have always been associated with good luck, being put into Christmas puddings and sewn into the uniforms of RAF pilots. A popular rhyme also explains the things a Bride should wear on her wedding day to bring her good luck. 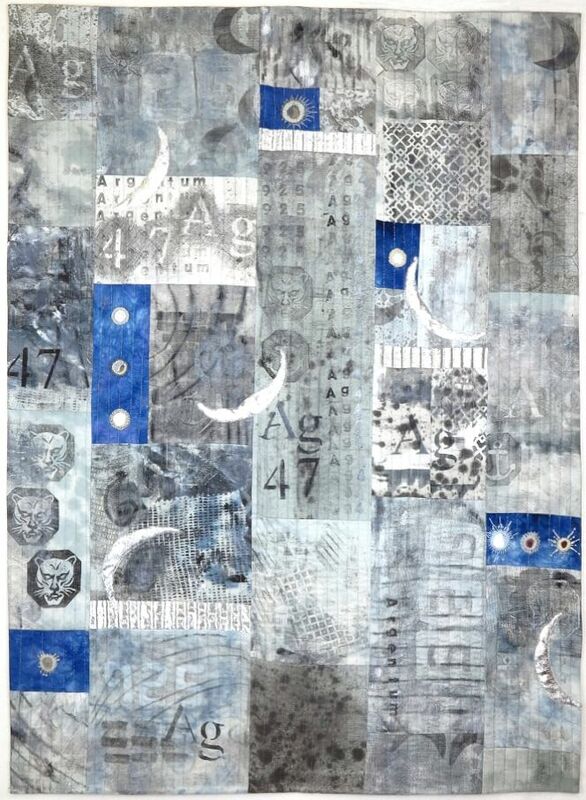 This quilt has 3 lucky silver sixpences stitched onto it – two from the year 1943, (the year of my parent’s birth) and one from 1967, (the year of my husband’s birth) and is the sixpence I had in my shoe on my wedding day. ​You can read more about the making of this quilt from the blog posts I made as I was making the quilt. Click on the button below to view the post.